Our Fallsview guestrooms feature a spectacular view of the Niagara Falls from specially designed floor-to-ceiling windows. 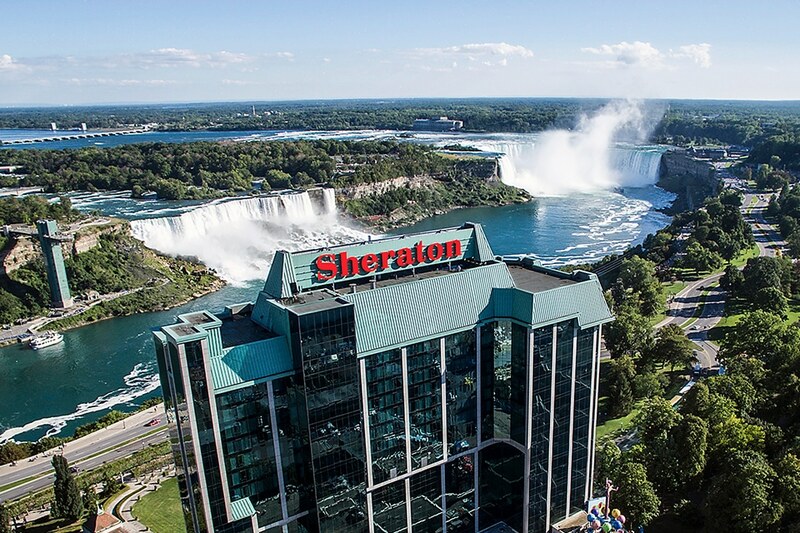 Choose between American Fallsview, Superior Fallsview, Deluxe Fallsview, and King Fallsview guestrooms. 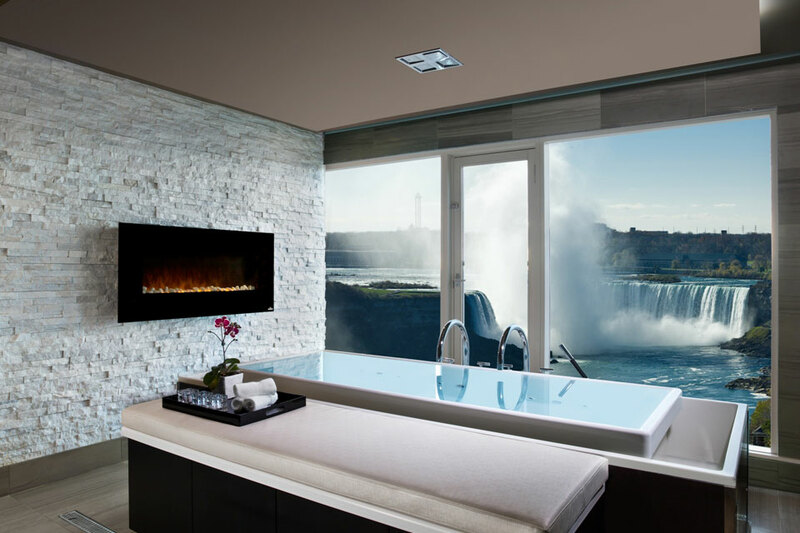 Our American and Canadian Falls Corner Suites offer a spectacular view of the Niagara Falls along with an oversized Jacuzzi tub. Our two storey suites offer 780 sq. ft. of living space on two separate floors and a fantastic view of the Niagara Falls from the lower level step-out balcony. 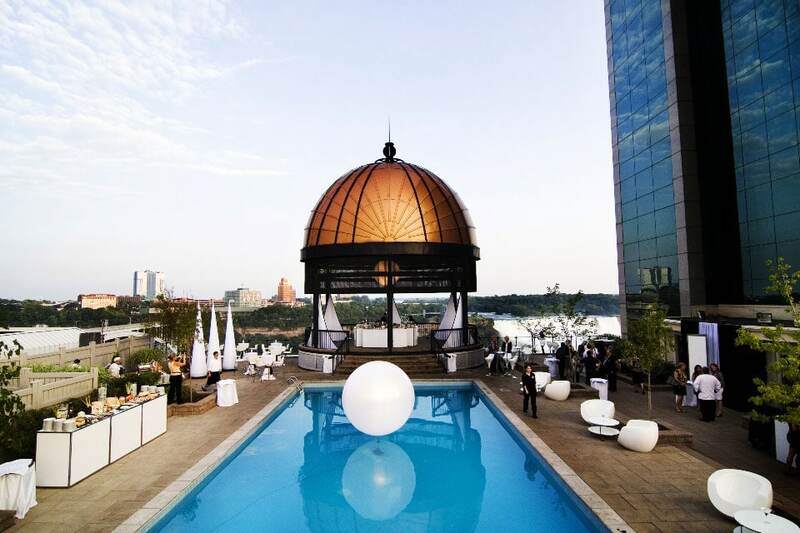 The Sheraton on the Falls Hotel boasts 669 first class accommodations, varying from traditional guestrooms to beautiful Fallsview suites. This room features floor to ceiling windows that overlooks Victoria Park, the Clifton Hill Tourist District and the city skyline of Niagara Falls. Choose between one king size and two queen size Sheraton Sweet Sleeper beds in our Traditional and City View guestrooms. Massimo’s Italian Fallsview Restaurant blends old world tradition with new world style in direct view of the magnificent Niagara Falls. Located on the dining level of the Sheraton on the Falls hotel, Massimo’s Italian Fallsview Restaurant offers classic Italian cuisine, an extensive wine list, and high-quality, often locally-sourced ingredients that reflect Chef Massimo Capra’s distinctive connection to both Italy and Niagara. For amazing healthy eating options in the heart of Niagara Falls, Freshii is the place to visit. Located inside the lobby of the Sheraton on the Falls hotel, Freshii offers a diverse and customizable menu of salads, soups, wraps, bowls, burritos, juices, and smoothies, and makes healthy eating on-the-go both convenient and affordable. Experience nutritious meal options made with high-quality ingredients and signature items like turmeric juices, energii bites, and grain bowls at Freshii Niagara Falls.